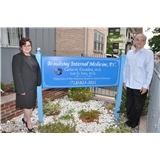 Broadway Internal Medicine P.C. (Elmhurst) - Book Appointment Online! Always have a pleasurable visit. Highly recommend Dr. Ares to anyone.